Four major airlines operated 8 to 10 flights daily to Goa's Dabolim airport in the last few days with pilots making 'blind landings' (or landings without navigational aids) in violation of air safety norms, prompting DGCA to seek an explanation for ignoring its directive. 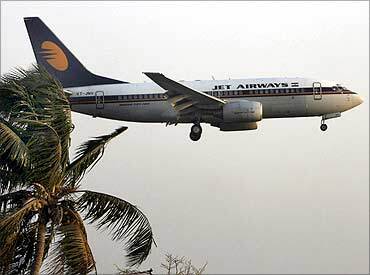 Some flights of Kingfisher, GoAir, JetLite and Jet Airways operated during the 'curfew hours' from April 4 to April 30 -- from 9 AM to 1 PM and 3 PM till 7 PM--in the past few days when the vital ground navigational aids were switched off for repair and maintenance. The Directorate General of Civil Aviation (DGCA) had issued a NOTAM (notice to airmen) about a week ago advising all airlines not to operate flights during certain hours in a day when the ground-based radar system PAPI (precision approach path indicator) was switched off due to repairs. "Despite our warnings to respect the curfew hours, some airlines have violated this directive. They will have to pay for it. We will take action. 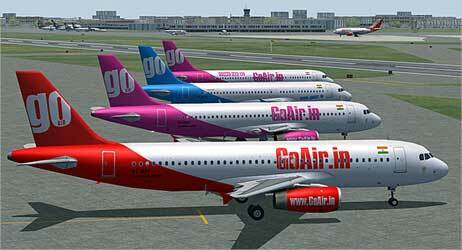 We are going to issue notices," DGCA chief E K Bharat Bhushan told PTI on Tuesday. The action may include derostering of pilots who carried out such landings. 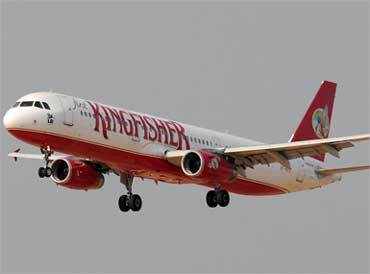 The action by the aviation regulator came even as the Indian Commercial Pilot's Association gave a directive asking all its members not to undertake flights to Goa till April 30 in the wake of violation of flight safety rules by some air carriers and 'blind landings' at Dabolim airport. 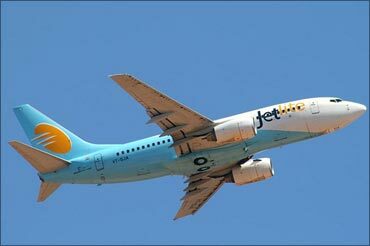 Bhushan said the NOTAM had warned all airlines not to operate flights of jet aircraft during the 'curfew' period due to shutting down of vital navigational aids. He said he had a meeting with the chiefs of operations of all airlines "and told them that these curfew hours should be respected entirely. I had also warned them that in case of any violation, we will come down heavily on the operators as well as the flying crew." The ICPA, one of the two Air India pilots' unions, asked its members not to operate flights to Goa during those periods when they would have to carry out 'blind landings'. The unavailability of the Precision Approach Path Instrument (PAPI), which indicates the landing path, makes the pilot undertake landings visually. The radar system also indicates features like the distance and height before touchdown. Asked about the ICPA directive to its members, Bhushan said, "I think if any association of pilots have said they are going to go by the curfew, it suits us. This is what we expect them to do". In its directive, the ICPA has asked the pilots not to undertake flights to Goa till the PAPI -- runway lights and the Glide Path (GP) on both runways remain unavailable. "As per NOTAM issued regarding PAPI and GP not available at both runways for aircraft landing between 9 am and 1 pm and 3 pm and 7 pm from April 4 to April 30 at GOA airport. The CEC of ICPA has decided to issue the directive keeping air safety in concern. "All Pilots are hereby directed 'not to undertake flights' repeat 'not to undertake flights' to VAGO (GOA) till the landing aids such as PAPI and GP are fully available and functional," ICPA general secretary Rishabh Kapur said in a statement.